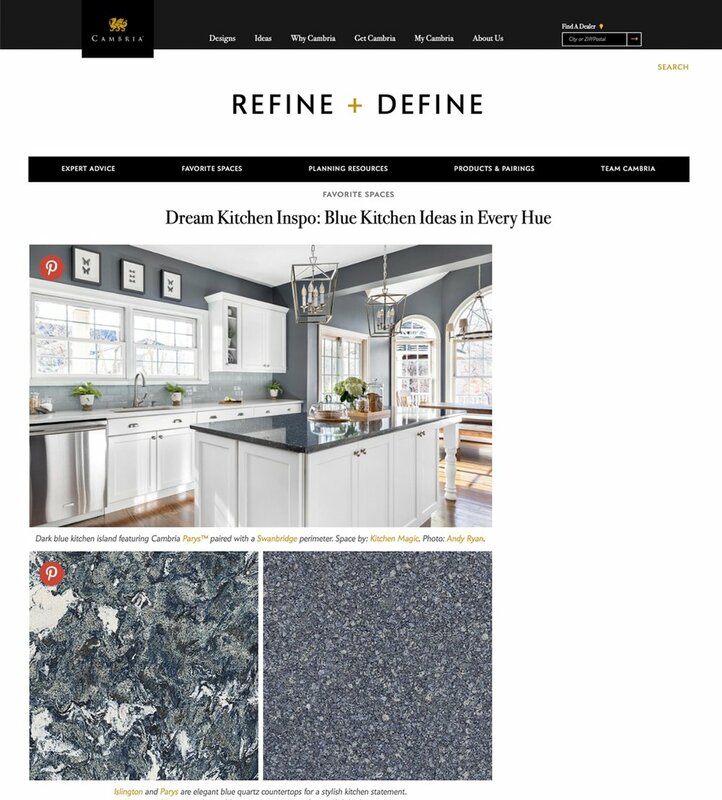 Cambria features this blue kitchen and blue Cambria countertop on their blog. Photographed for Kitchen Magic. Checkout more from this kitchen product photography shoot and more by clicking the link below.